Pierate - Pie Reviews: Wedding Pie? Don't mind if "I do!" Pierateer Rob is particularly excited at the moment as today marks not only two weeks until his sister Carly gets married to Alex, but he managed to persuade them to have pork pies at the wedding buffet in the evening! The main catch was that he'd have to pay for them himself... but that's alright for a once in a lifetime op-pie-tunity! He's therefore delighted to say he has commissioned two "wedding pies" - yep, they're a thing! - to be made by Bray's Cottage for the big day on Saturday 4th June! Sarah, who has appeared on TV with Heston Blumenthal on a show about pies (and only went and made the news in the "Thetford and Brandon Times" online newspaper about it!!!) and been in countless pie articles in newspapers and magazines (like the Guardian), really is passionate about making top quality pies and the pork pies we've tried of hers have been some of the best we've had. Check out the review Sam did previously, where it was really only the cost of the pie that brought the average down a bit but still it pie rated very highly! 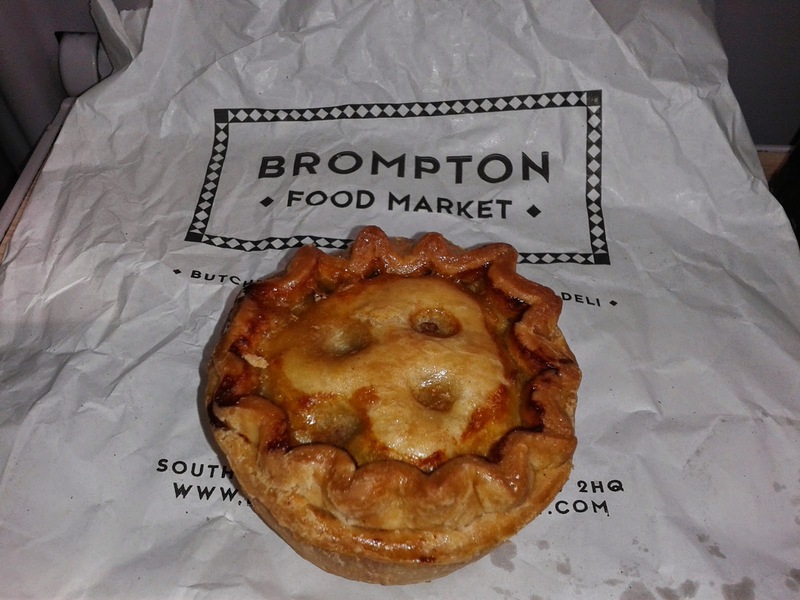 Of course, you often only get top quality food when you're willing to part with your cash and we are very excited to sample the wedding pie in two weeks time!